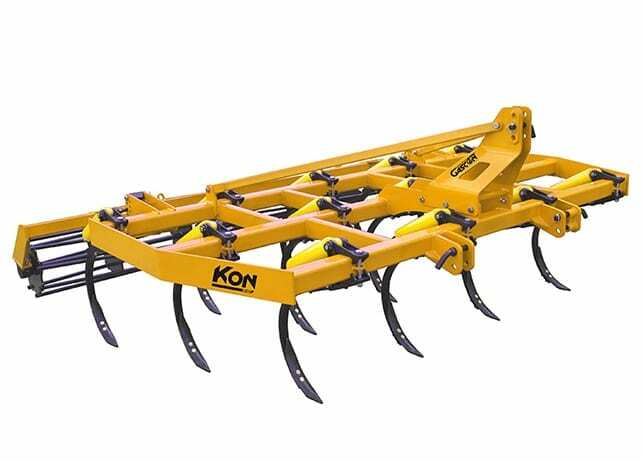 Gascon KON Semi-Chisel cultivators with 40x30mm tines provide high vibration effect for shallow to deep working of the soil from 50mm up to 300mm depth. Ideal for primary and secondary cultivation in stony and compacted soil to improve penetration of water and to aerate the soil. At the same time they mix stubble and residue for faster decomposition preparing the soil for re-seeding.